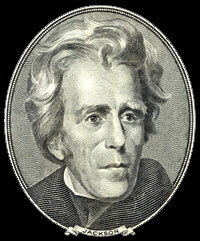 Lucky Number 7: Andrew Jackson! Nine months have passed since I began this journey, and six presidents are now in the rear-view mirror. 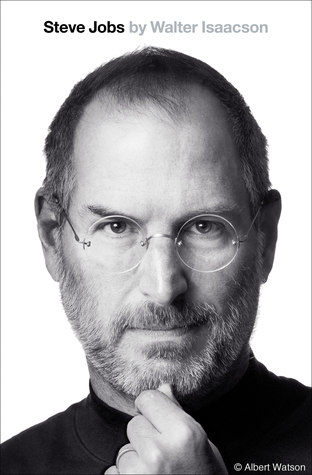 That’s 36 biographies and over 17,000 pages of life, death, conflict, controversy and adventure. Happily it has been more interesting than I anticipated. Now we’re leaving behind the east coast “elites” – at least temporarily – and heading west to meet our next president. Compared to the semi-aristocrats from Virginia and the pious father-and-son pair from Massachusetts who preceded him, frontiersman Andrew Jackson certainly enjoyed a less genteel upbringing. Based on the glimpses of him provided by the biographies of his predecessors, Jackson reminds me more of Wyatt Earp or Doc Holliday than John Adams or James Madison. And only one hundred or so pages into my first Jackson biography, it already seems that his remote, hardscrabble upbringing forged Jackson into a larger-than-life caricature of the traditional soldier-statesman – something like Daniel Boone meets John Adams meets Genghis Khan. But I have much, much more to learn of our seventh president (I know little more than his name, that he is featured on the US $20 bill and that his favorite means of dispute resolution was the duel). Fortunately, eight books on Andrew Jackson sit on my shelves – three of which are Pulitzer Prize winners. And this will be my first time reading four of these authors. My plan of attack is to start with the oldest book, “The Life of Andrew Jackson” by Marquis James, which was published in 1938 and won a Pulitzer Prize in the Biography category. Next up will be “The Age of Jackson” by Arthur Schlesinger which won a Pulitzer in 1946 in the History category. If you can see the play ‘Bloody Bloody Andrew Jackson’, which portrays Andy, with some truth, as America’s first rock star. As a regular reader of your blogs, I would recommend the musical “Bloody Bloody Andrew Jackson” as well. I am an actor who is also incredibly interested in American history. The show, written in 2010, is an incredibly well written “emo-punk” musical that explores the presidency of Andrew Jackson through rock music. Using a variety of Brechtian devises, the show simultaneously pokes fun of emo-punk rock stars and explores the creation of populism in American politics. Despite opening to rave reviews, the show had an all too brief run 3 years ago. There is a decent cast recording that you can listen too. Unfortunately, many of the songs on the recording don’t make much sense without seeing them in the context of the show. So, if you are interested, I would recommend listening to the tracks from the CD that you can find on YouTube. If you are still reading this and you are still interested, I am attaching a YouTube clip that is a short montage of performances from the Broadway show. I hope you’ll also review my Jackson biography, which is hot off the presses: http://jacksonianamerica.com/publications/andrew-jackson-southerner/. I’m looking forward to reading through all of your reviews. Thanks for alerting me to your work on Jackson -it does appear to be fresh off the press, and I look forward to reading it! If I don’t manage to slip it into this round of reading, I will be sure to get to it early in my follow-up round (where it would be the third book to read, behind one on John Adams and a book on Madison). Steve, I was searching the web and came across your blog. I’ve decided to read a book on Jackson for amusement and maybe a little learning. Judging by your write up you might be the expert on his writing and I was wondering what single book you’d recommend the casual reader. Thanks in advanced and what an impressive journey you’re on! If I could only read a single book it would have to be “The Life of Andrew Jackson” by Robert Remini. It was a distillation of his three-volume series which is even better (more pages = more descriptive and even more interesting tales about a fascinating person). But if you can’t afford the time to read a series with 1300+ pages, I wouldn’t hesitate to read the single-volume abridgment (which has fewer than 400 pages). In addition to it being a well written book, I realized another reason why I am enjoying this so much, Jackson’s life is such a refreshing change from the first six. Think about it. Washington, Jefferson, Madison, Monroe and the two Adamses. Every bio seemed almost a carbon copy of the others. Four Virginia planters and two upper crust Bostonians. Every child hood was full of private tutors, coach rides, dinners served by slaves or servants, dance lessons, rides in the country, social engagements, private schools and the best colleges (They all went to William & Mary or Harvard back then). They were pretty cookie cutter lives. But not Jackson! No way. As befits the era that his inauguration opened the bell for, he was the first “COMMON MAN” president. The poor kid from the Waxhaw District in the Western Carolinas (historians aren’t even sure whether he was born in North or South), orphaned at 13, captured by the British and struck in the head by a British officer’s sabre (a story I always felt was folklore like Washington’s cherry tree, but apparently it happened) made his way to Tennessee where he read the law, got involved in politics, helped write the Tennessee statehood constitution, served as Tennessee’s first Congressman and a Senator, all before the age of 30. Jackson is truly a breath of fresh air, and I may even add another biography of him to my list. Yes, once you leave the old Virginians and the Boston Adamses behind, it’s time to roll down the car window and live a little 🙂 And as good as I found the biographies of Andrew Jackson which I read, I can’t help but think that if Ulysses Grant deserves 2 or 3 fresh biographies by great authors, so does AJ!